What in the world is that hot mess? 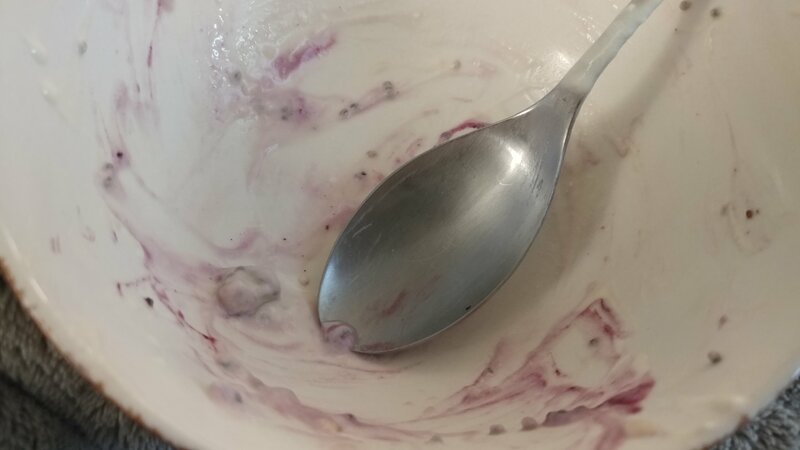 It’s my best shot at a dessert in a household without all of the typical, processed goodies. Cringe away if this isn’t your boat, but it’s definitely my own little yacht. This is the best I could do concocting a little something’s somethin’ sweet at the conclusion of another weekend. 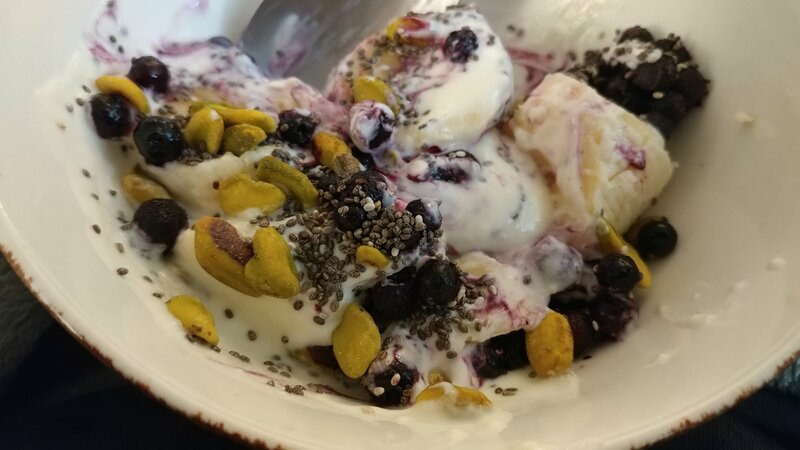 Seven Stars Farm plain yogurt, sliced banana, frozen wild blueberries, chia seeds, and pistachio nuts! Yummm…and I don’t even feel guilty eating this!